Chad Reimer holds a PhD in history from York University, and works as an independent scholar and author. He lives in Chilliwack, British Columbia. Previous publications include "Writing British Columbia History, 1784-1958" published by UBC Press in 2009. 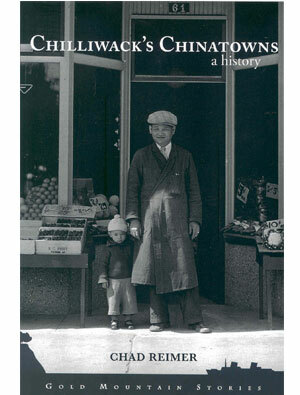 Chad Reimer, PhD, follows dual trails of arson in his book that explores Chilliwack's Chinatowns, which were nearly lost to the past. Intellectual copyright belongs to the author, Chadwick T. Reimer. This manifestation is copyrighted by the Chinese Canadian Historical Society of British Columbia and the Initiative for Student Teaching and Research in Chinese Canadian Studies at the University of British Columbia.